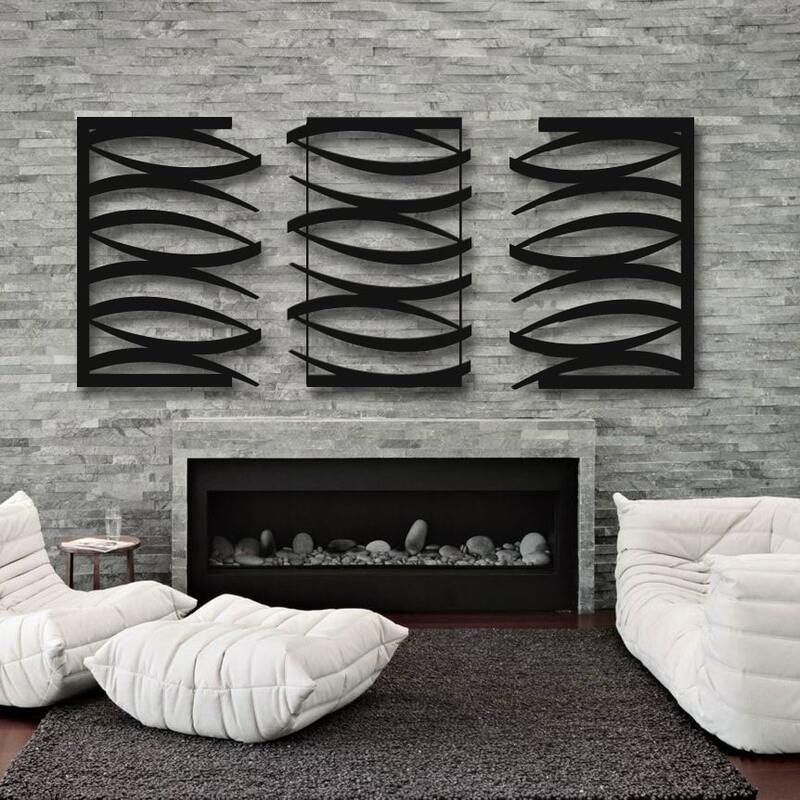 42″ Tall x 96″ Wide x 2″ Deep (All 3 pieces included) They can be spaced to set apart at your desired overall width. 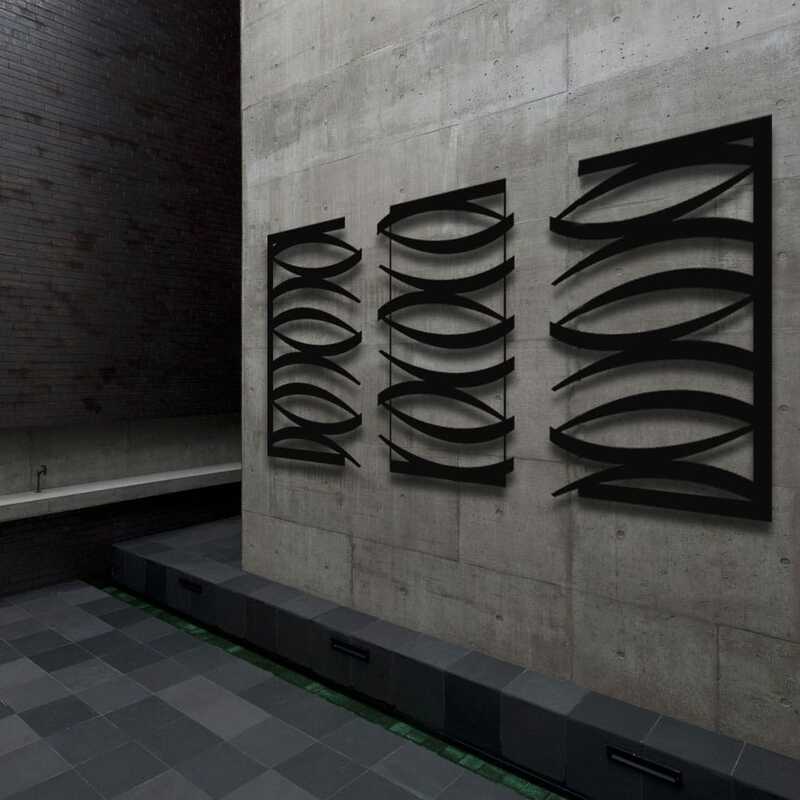 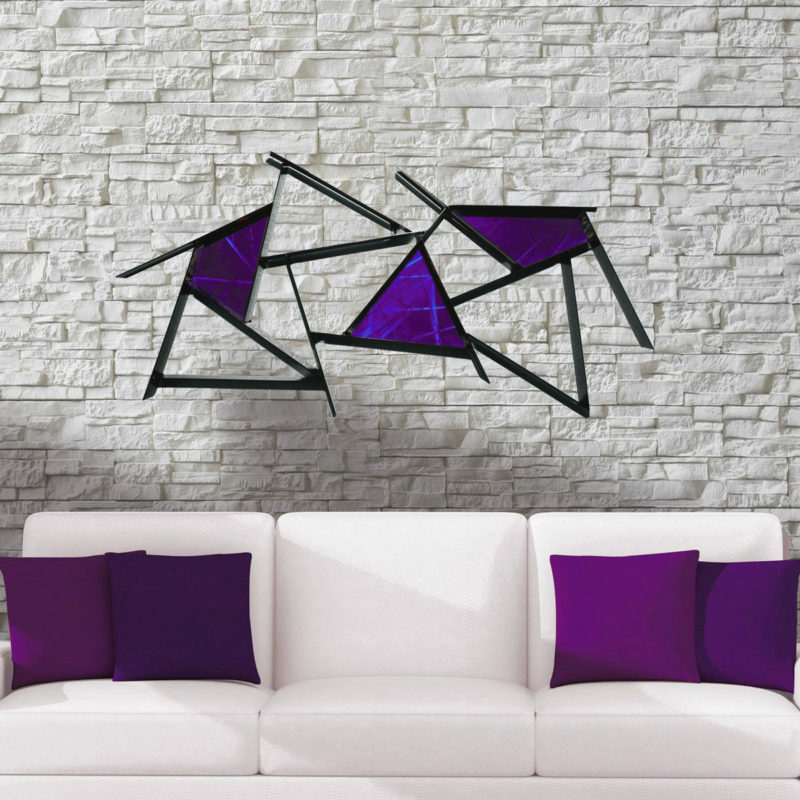 Oasis is a unique modern modern black wall sculpture design made from high quality corrosion resistant aluminum. 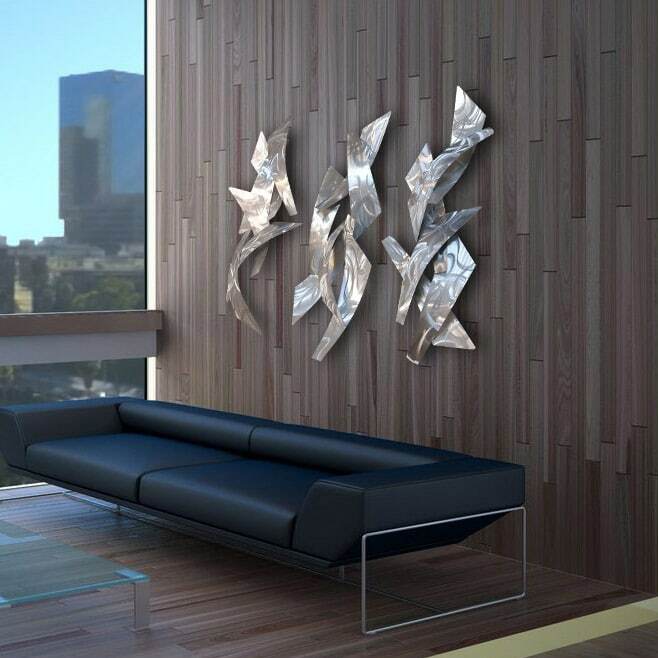 This is a dimensional wall piece that is elevated 2 inches from the wall surface using custom designed brackets. 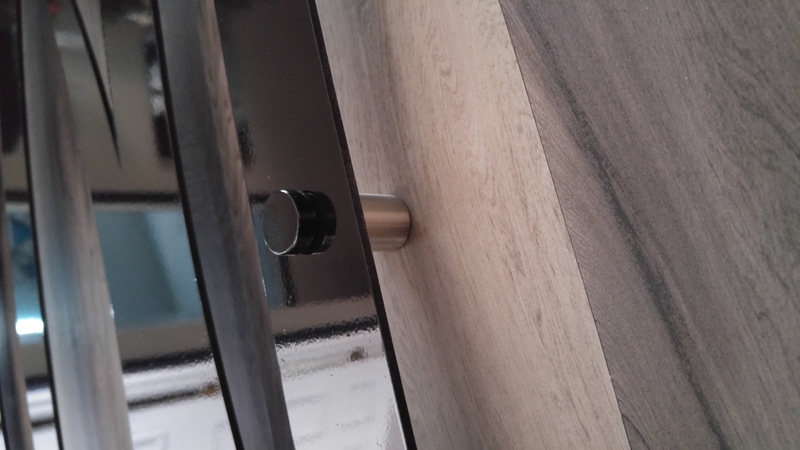 Additionally, the brackets have a locking design for easy secure installation. 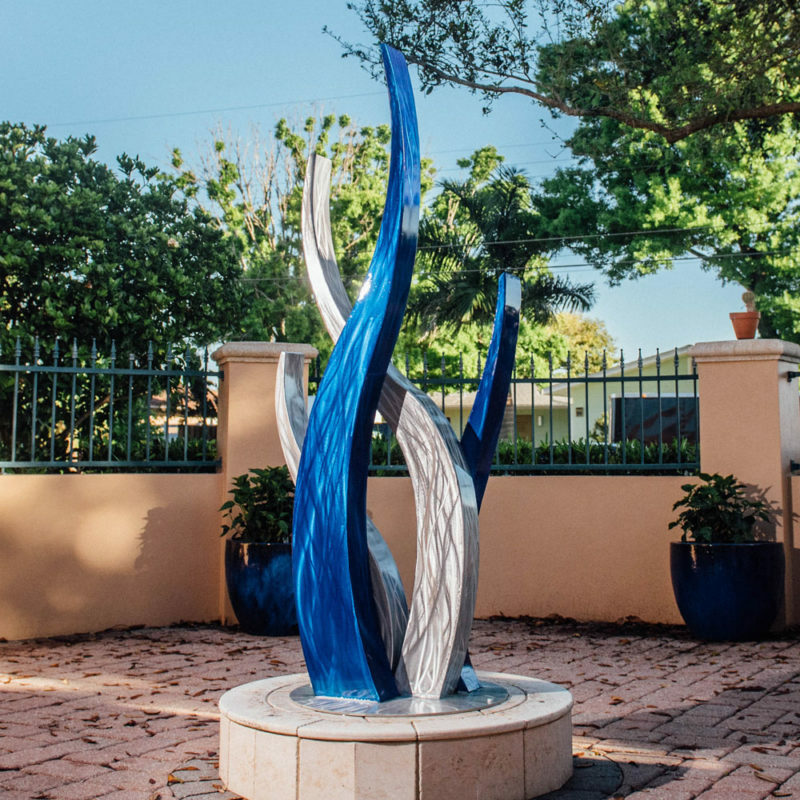 Also, this piece is compatible for outdoor installation with a durable coating for weather resistance. 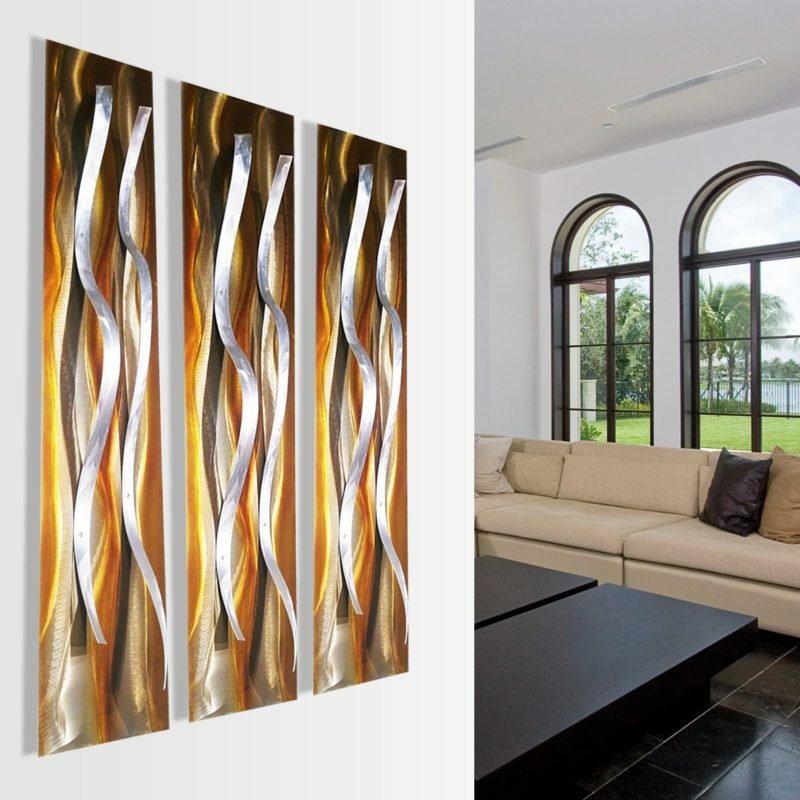 Not to mention this isn’t your average flat wall art. It is a dimensional wall sculpture designed by Dustin Miller.